On planet Boborp, all the childrenx go to skrool. They ride the skrool busk, read (or eat) bloox, and listen as their skreecher spleeks. Sound like someplace you’re familiar with? 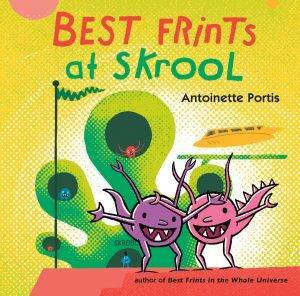 To find out even more about Boborp, enter for a chance to win Best Frints at Skrool from Roaring Brook Press. Submit a comment to this blog by 11:59 p.m. on Wednesday, August 29, and make a silly guess on what the word is for “lunch” on Boborp. One lucky teacher will be randomly selected to win! 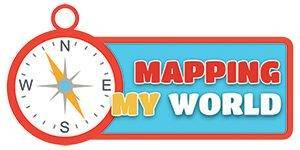 Here’s an awesome prize from the new Learning magazine: Five lucky teachers will win the series Mapping My World from Crabtree Publishing. The four books are for grades K-3 and use hands-on activities to introduce young readers to mapping skills. Click here to enter (look for the WIN section). Looking to upgrade your technology? Need some tools for STEM projects? Is it time to tackle safety improvements at your school? Apply for the Lowe’s Small Toolbox for Education grant program. Find details at toolboxforeducation.com. Don’t wait, the deadline is September 28. Add some ag to your lessons! The CHS Foundation and National Agriculture in the Classroom are offering $500 grants to K-12 teachers. Dig into this great opportunity at agclassroom.org/teachers/grants.cfm. PS: Looking for a coupon code? Click here. We’ve got great discount codes for Lakeshore Learning, Oriental Trading, and Wikki Stix. I love this blog. I appreciate the information included. “Spewed” of coarse! Checked out the review of the book. What a wild “spewed fight” they were having! drunch is an excellent translation! In BEST FRINTS IN THE UNIVERSE, Yelfred and Omek “have a nice yunch”. Looks like noonoos. Out of this world lunchables! My favorite time of day is “frunch”! I think that lunch is called Larx. It sounds like it fits with the other words! Good luck everyone!